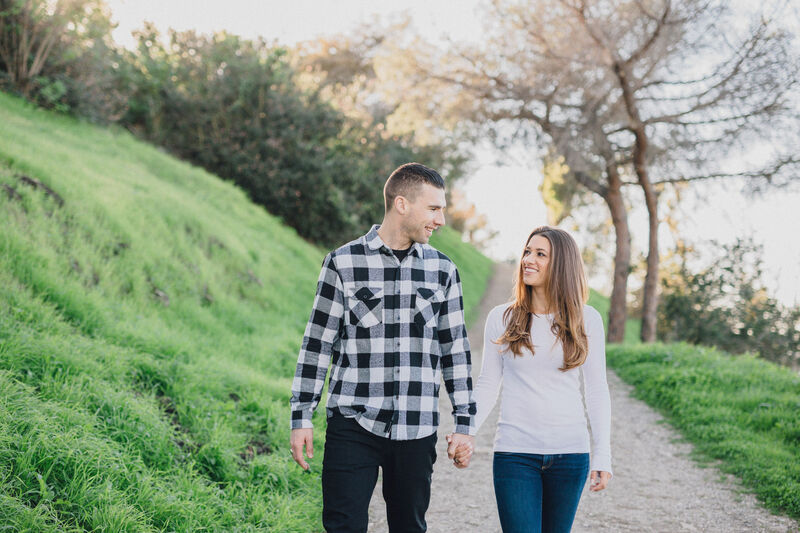 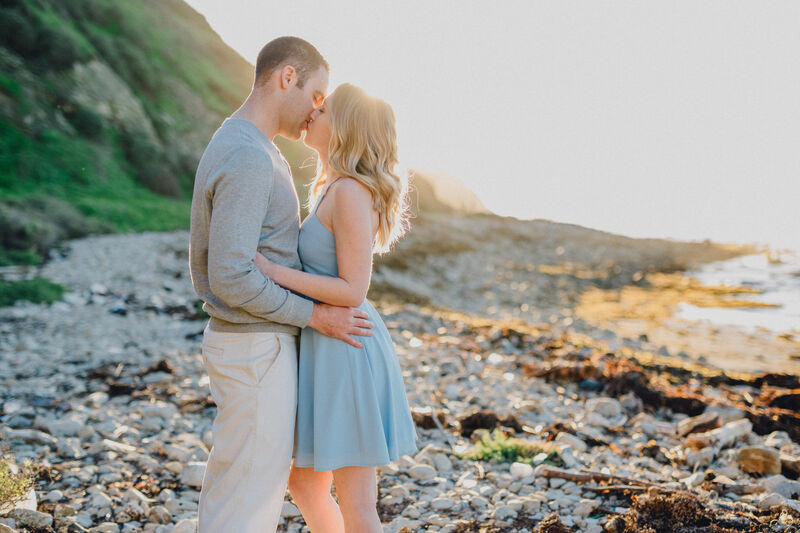 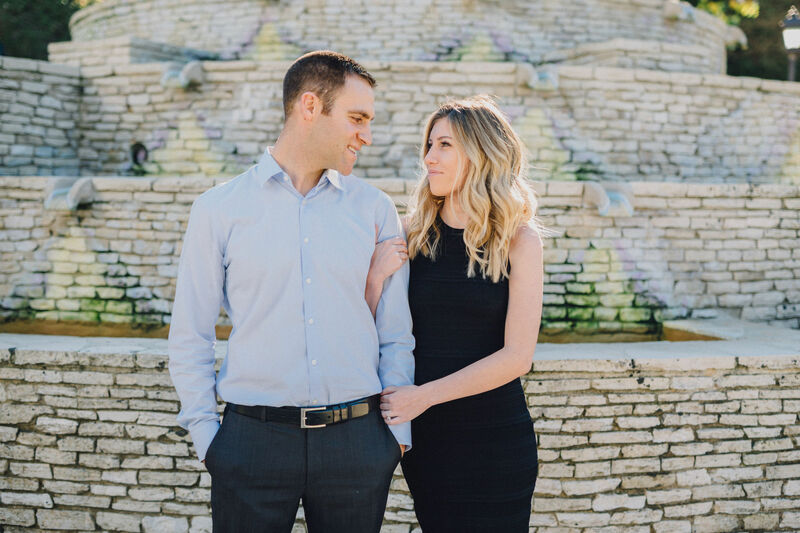 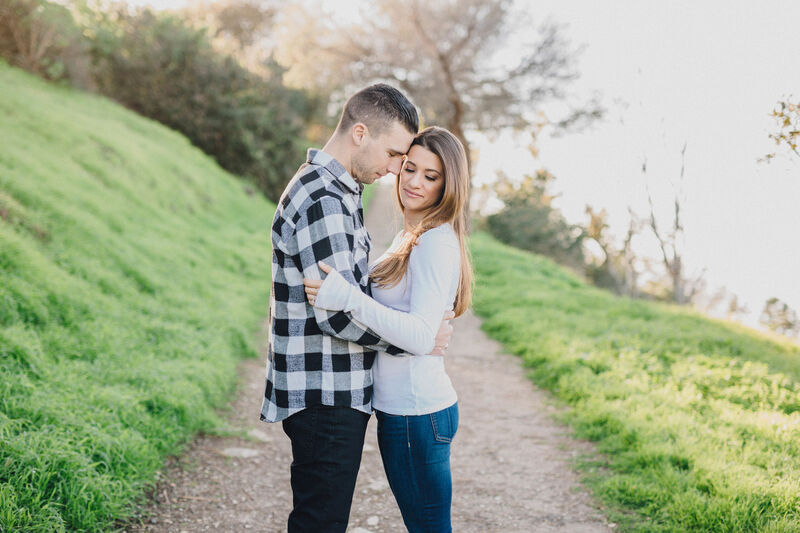 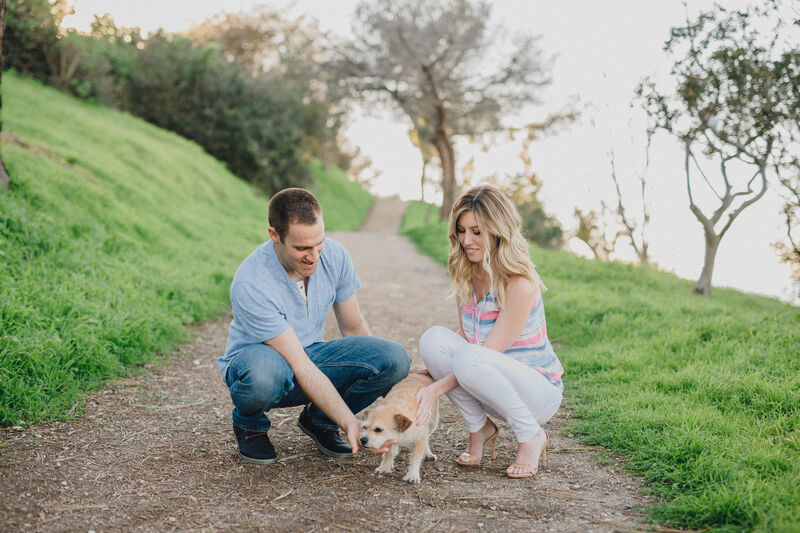 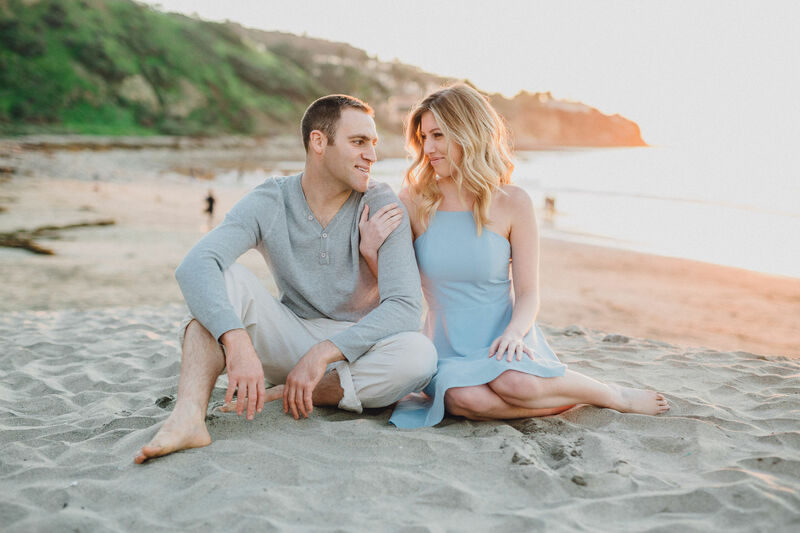 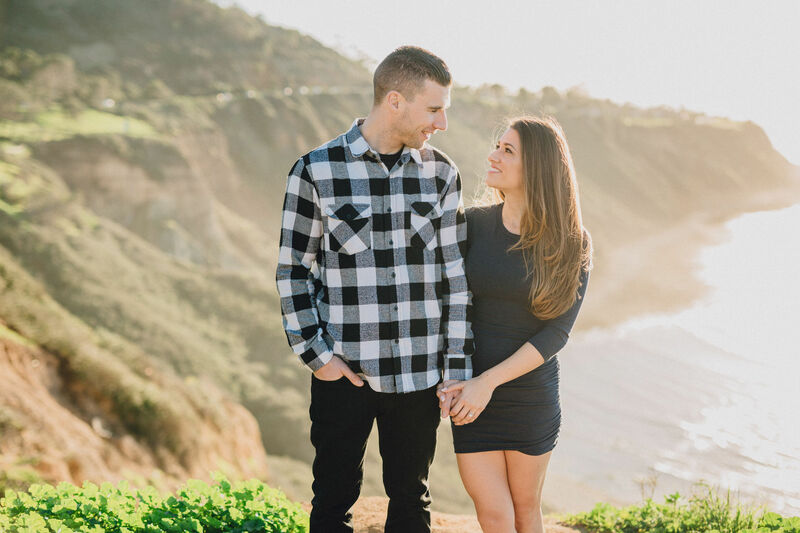 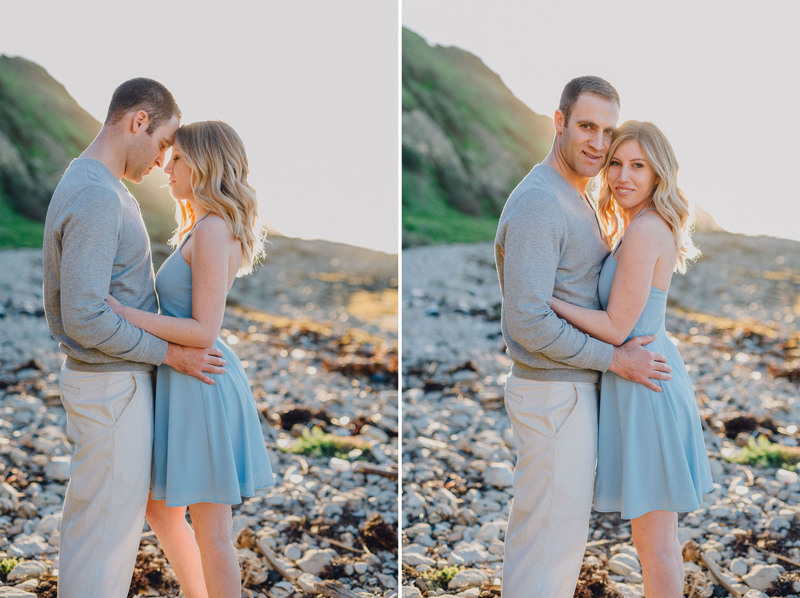 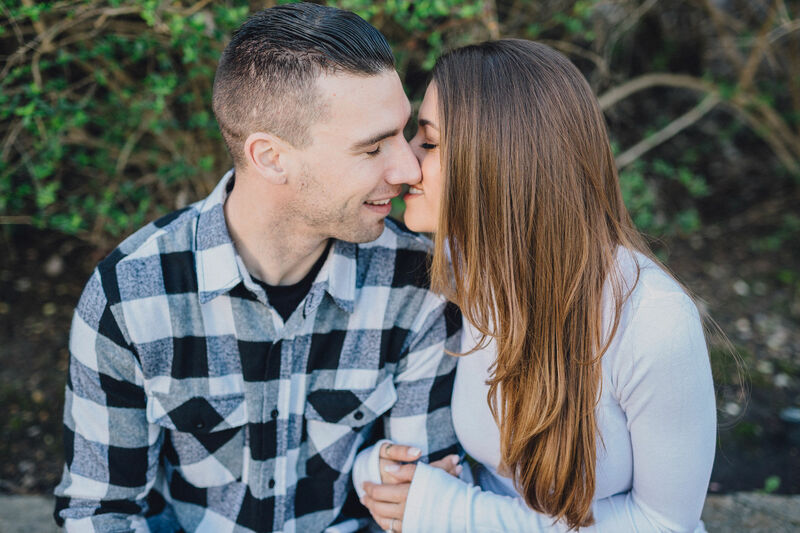 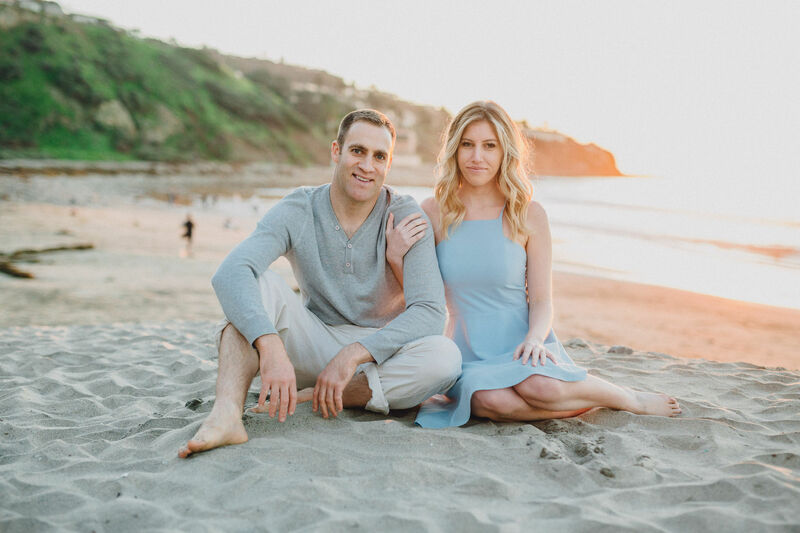 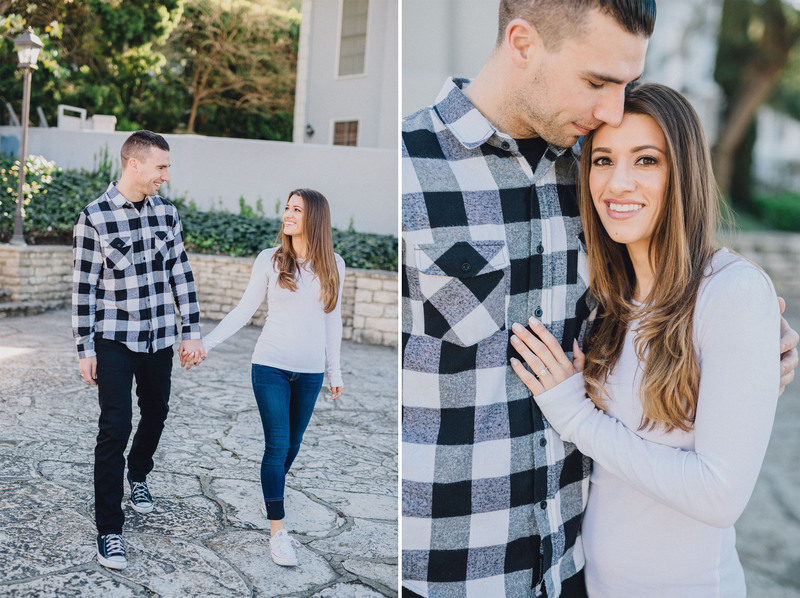 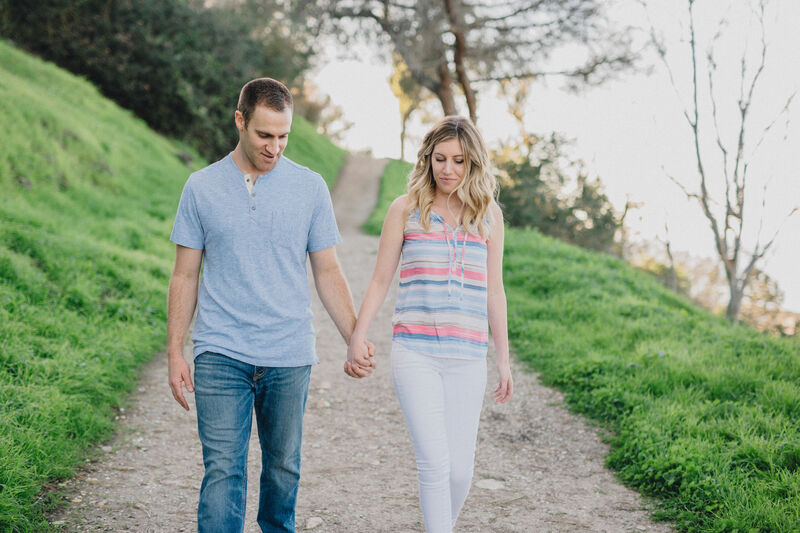 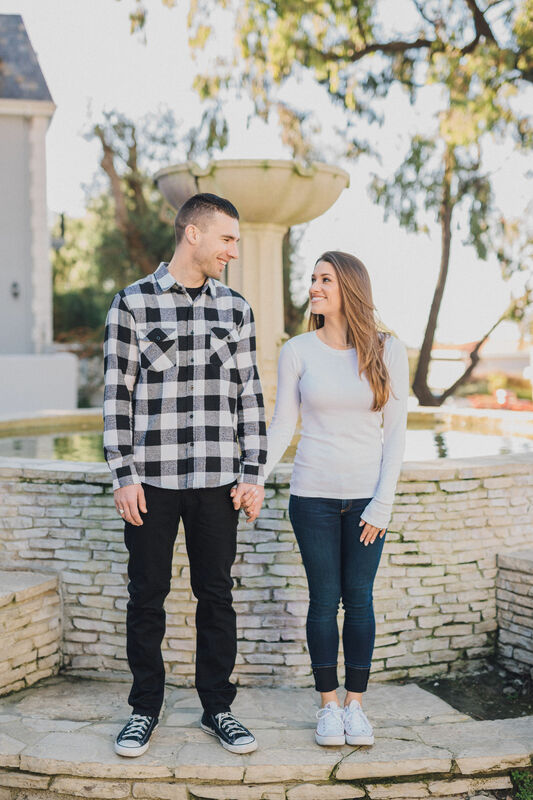 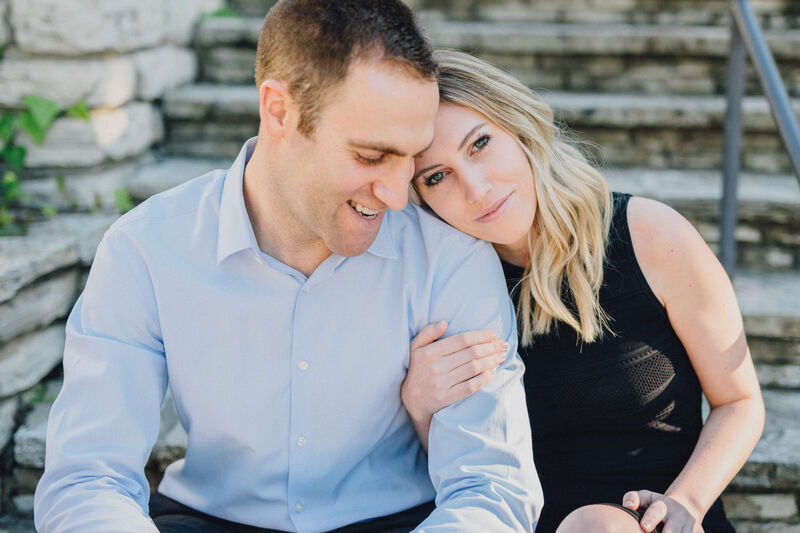 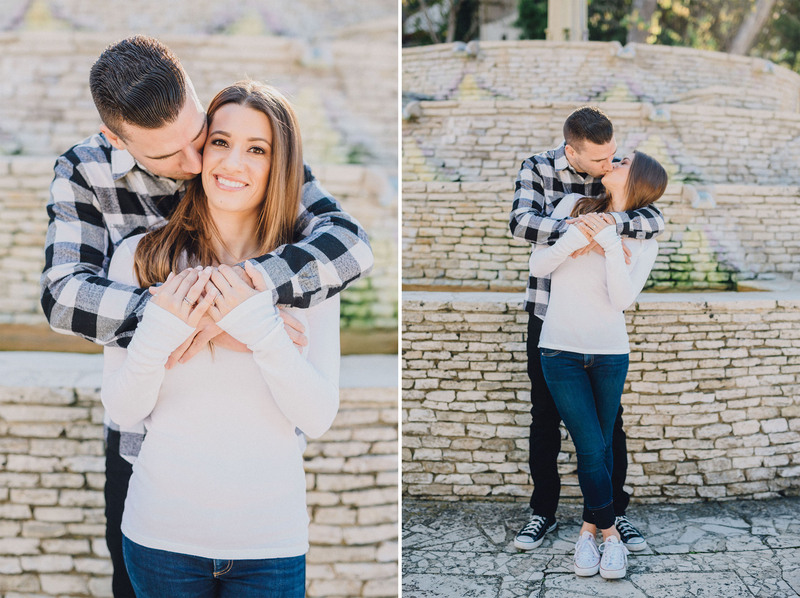 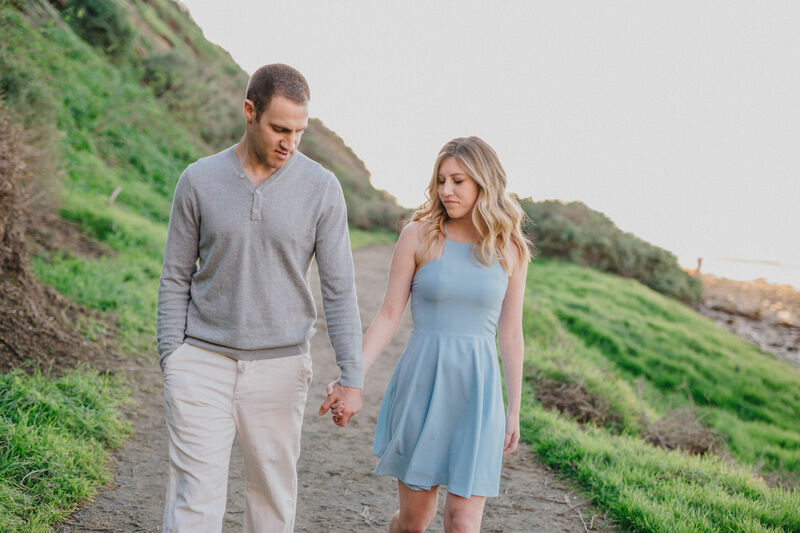 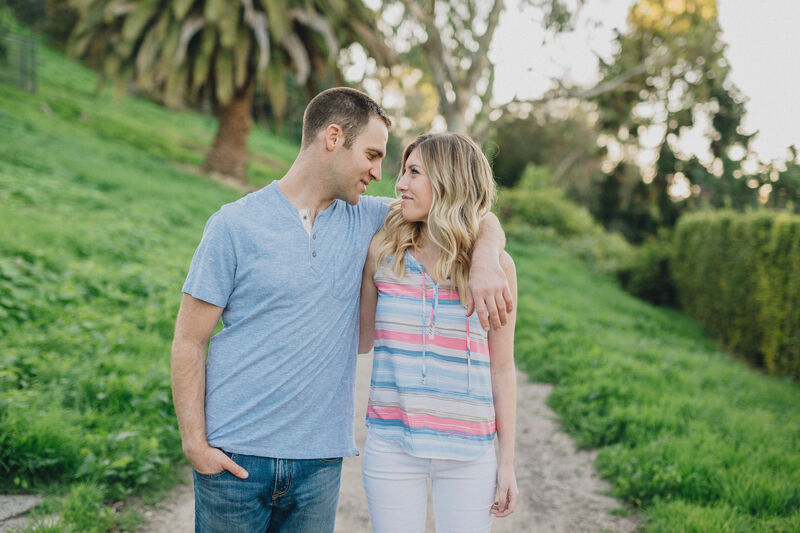 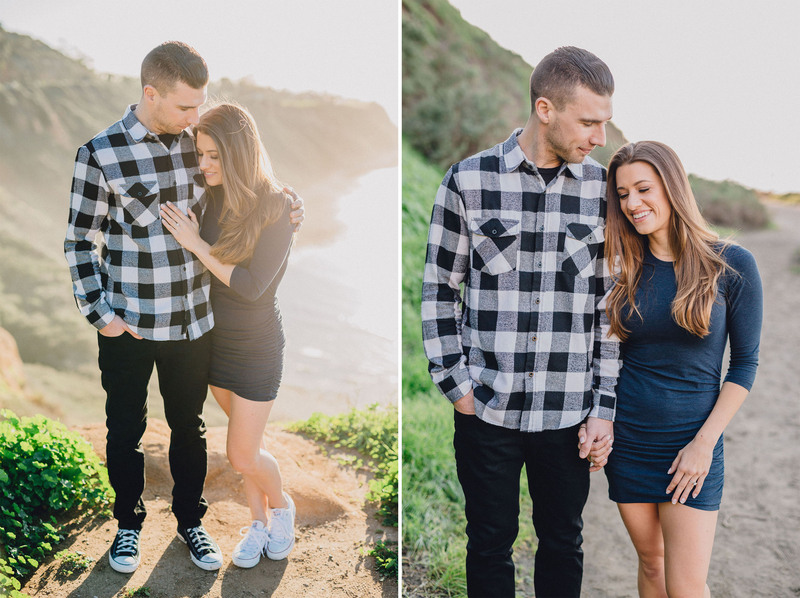 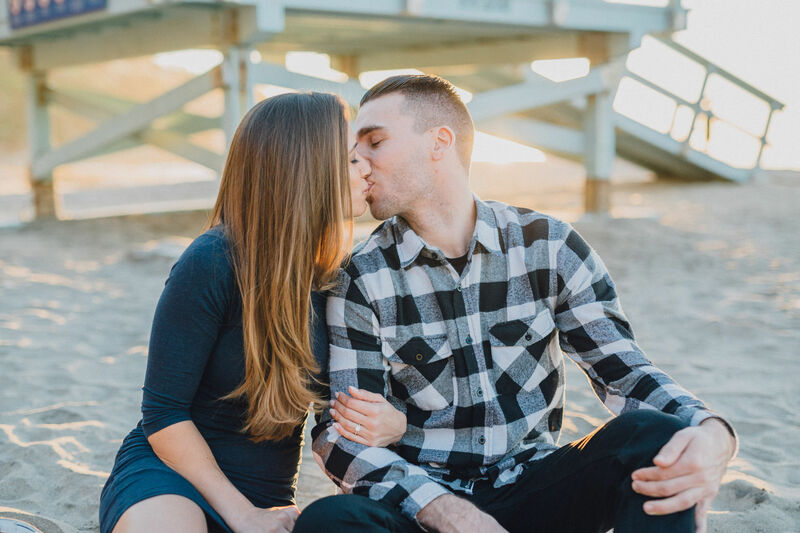 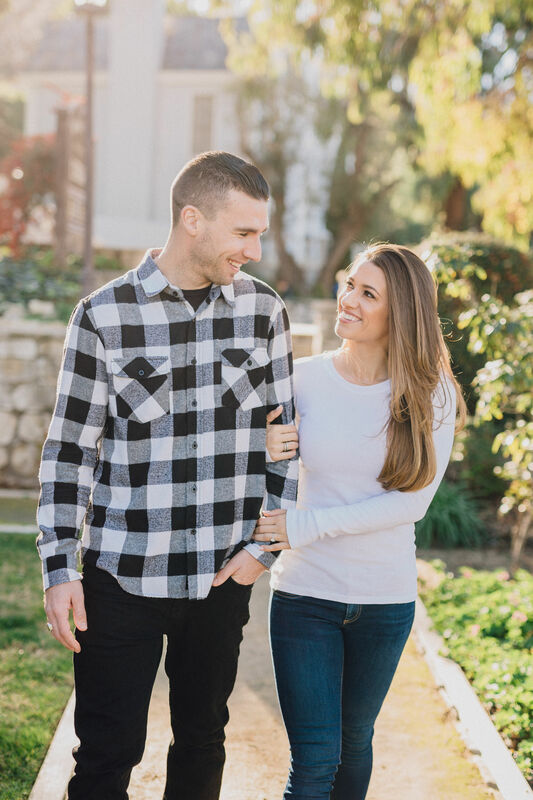 First of all, Palos Verdes is the perfect spot for an engagement shoot and we are about to show you why. 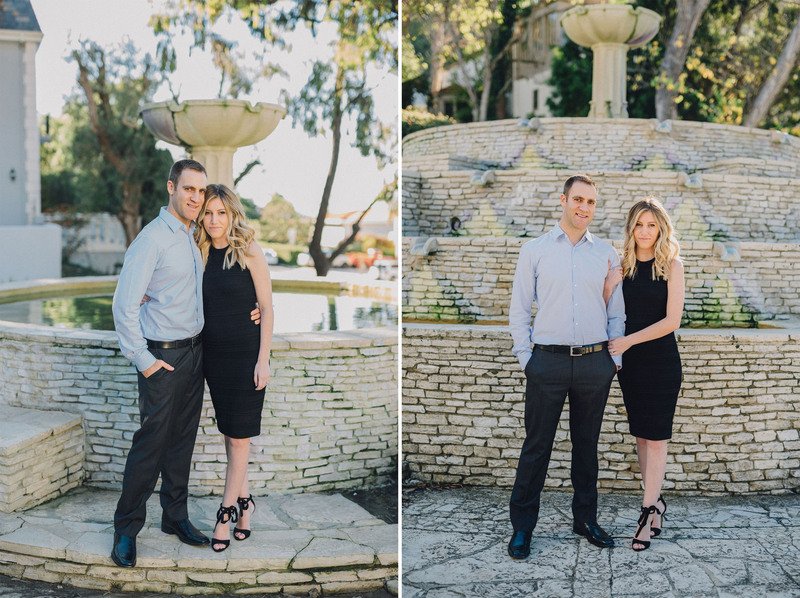 Starting out at the beautiful stone walkways and posing in front the old, rustic stone water fountain. 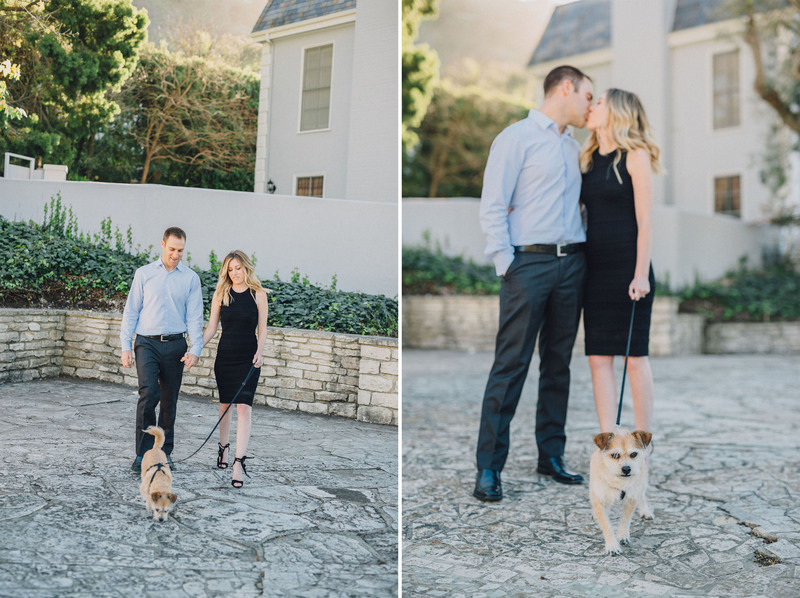 Seems like, even Brandice and Brian’s dog made an appearance for some shots! 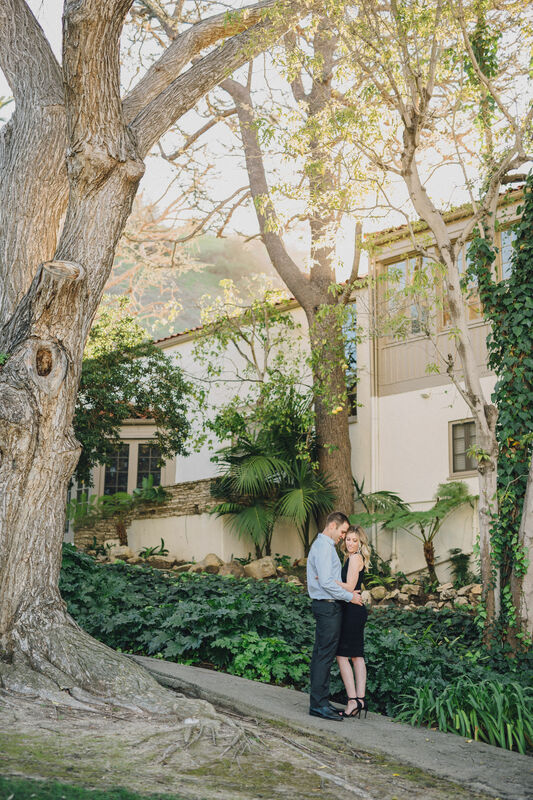 Also, walking along all the gorgeous scenery and stopping to get a picture beneath the trees with the Palos Verdes mansion in the background. 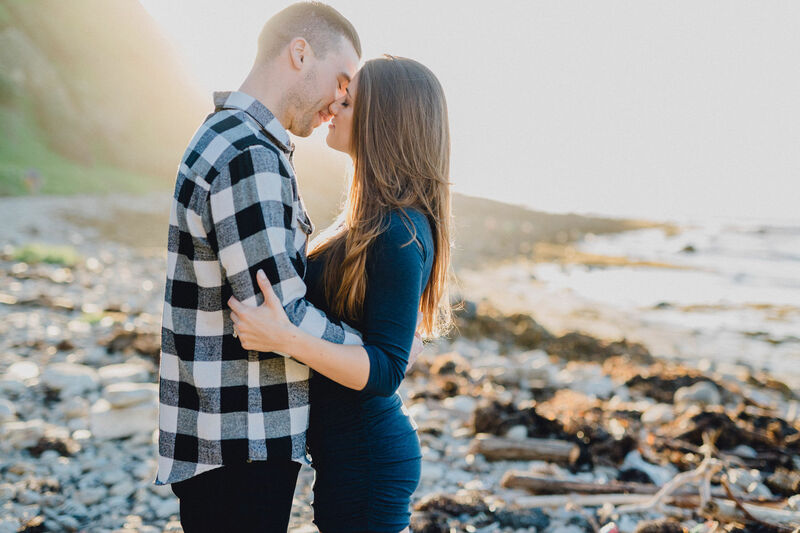 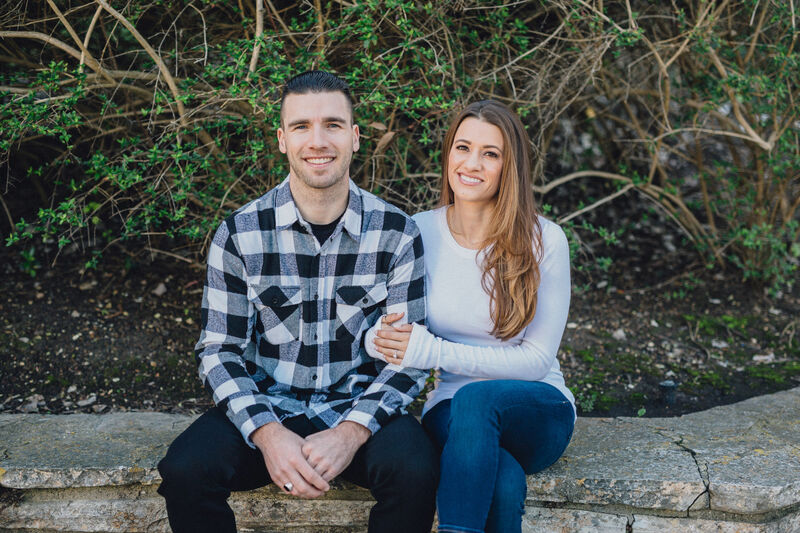 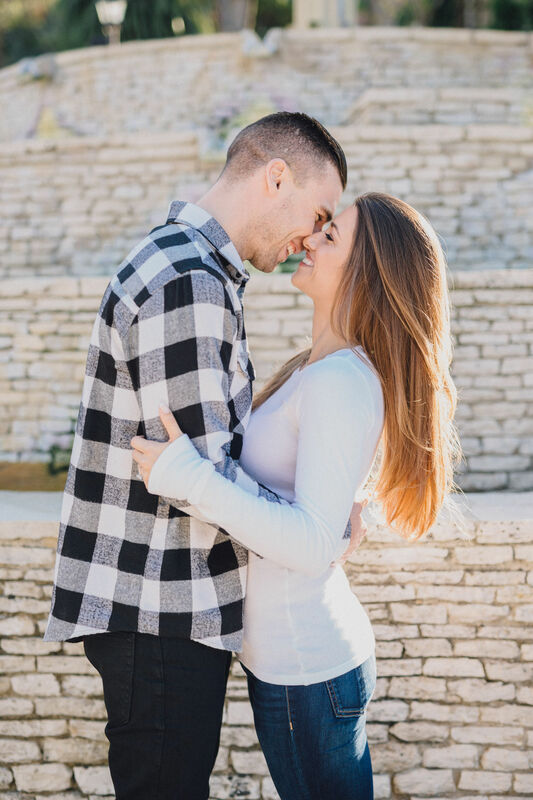 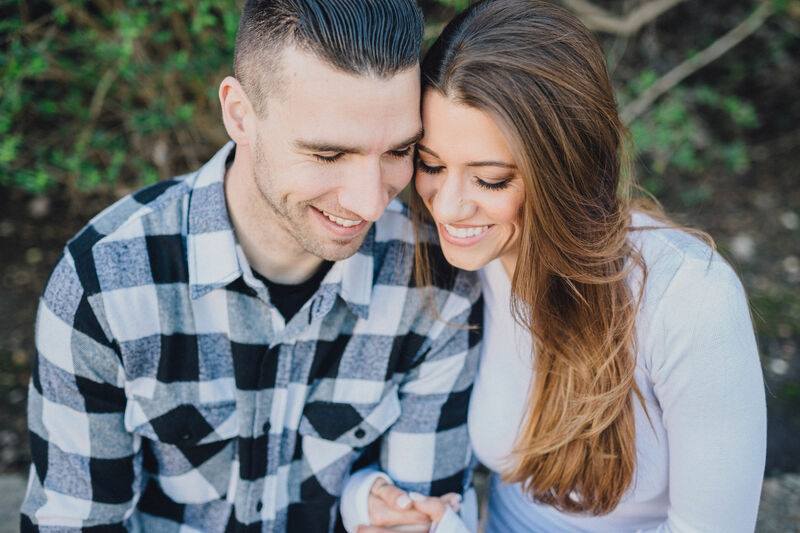 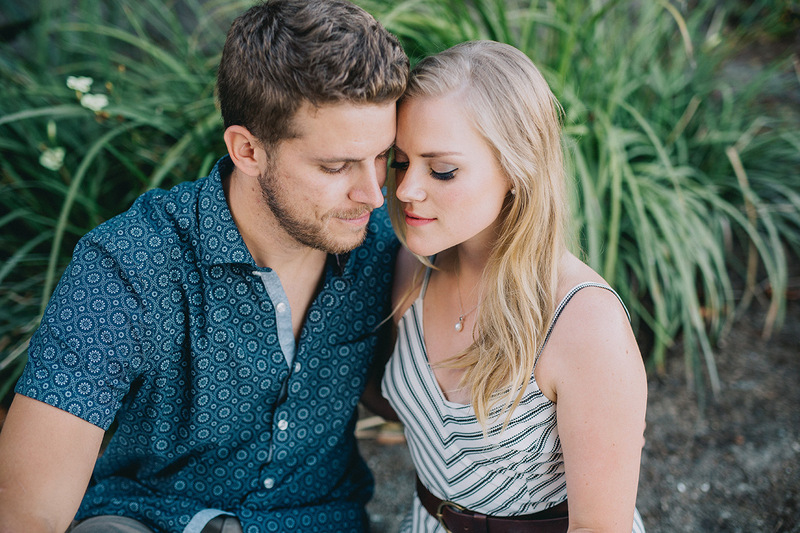 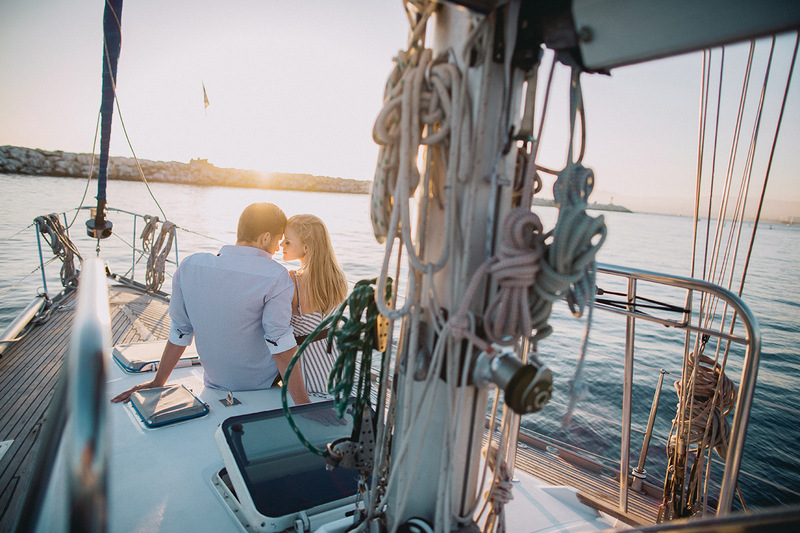 There are endless opportunities for engagement pictures and it doesn’t end there. 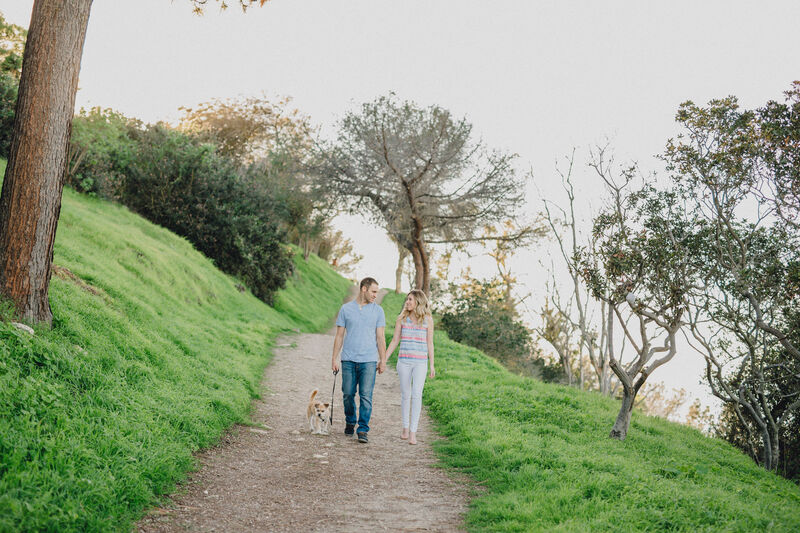 We continue to the cliffside pathways with ocean views that lead us to the beach. 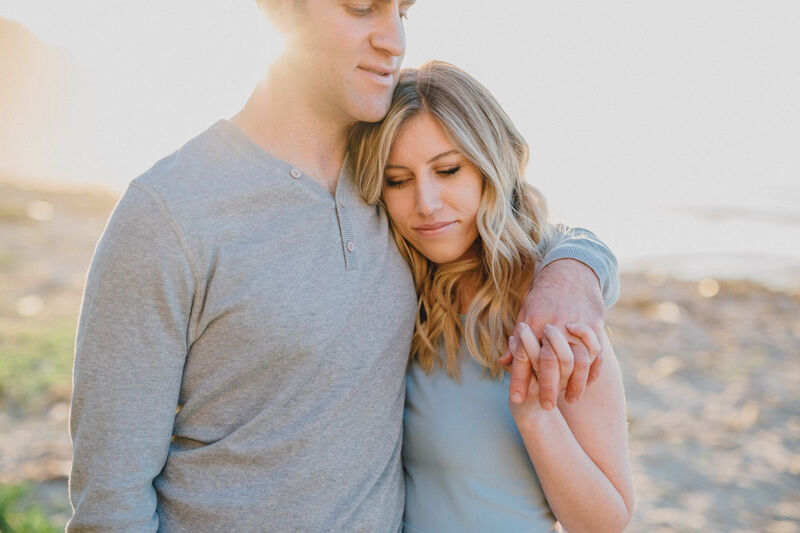 As you can see, it was the absolute perfect beach day with this lovely couple. 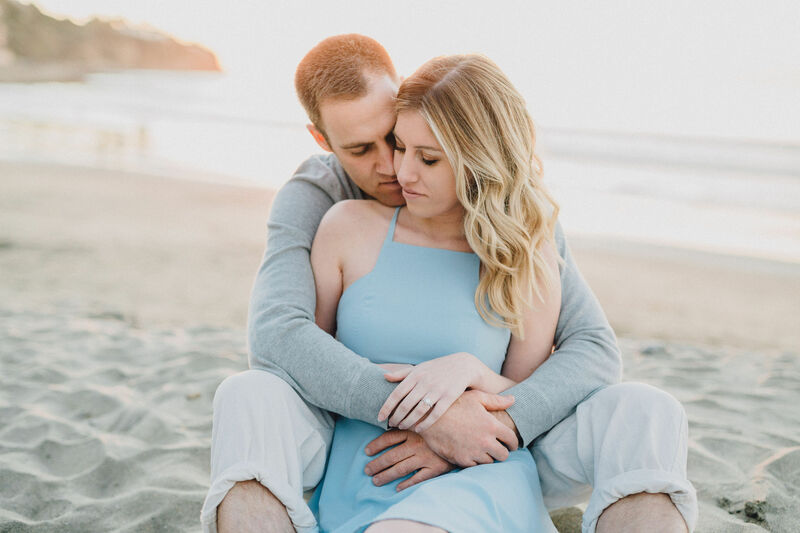 Above all, capturing their playful love along the water while drawing hearts in the sand with their initials and wedding date to come and leaving their footprints in the sand. 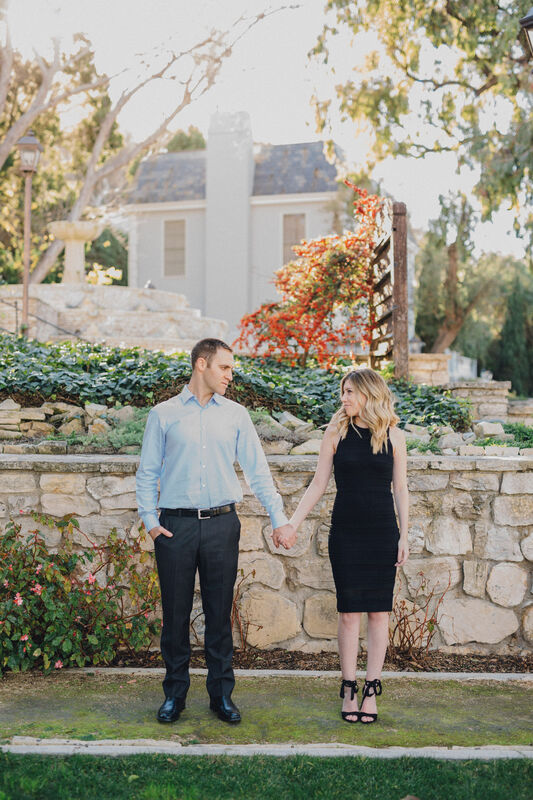 This was only just the beginning and you can check out their wedding pictures at Triunfo Creek Vineyards on our blog, as well. 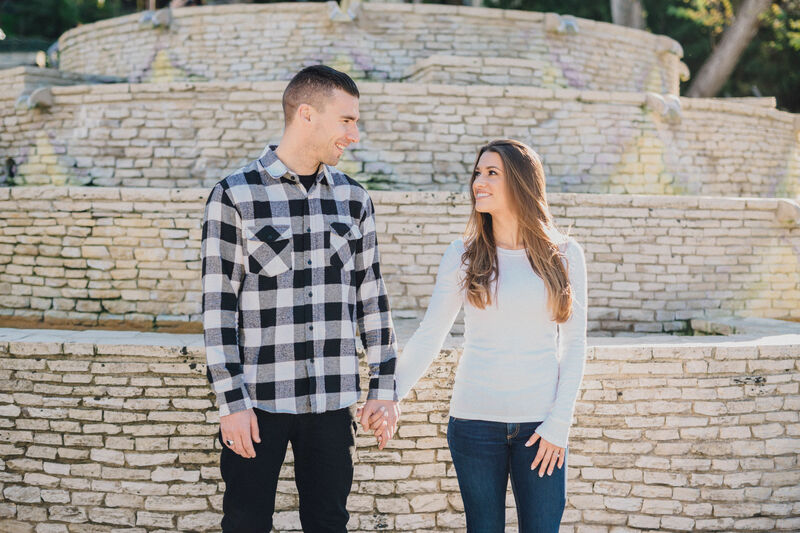 But for now, keep scrolling because you don’t want to miss this! 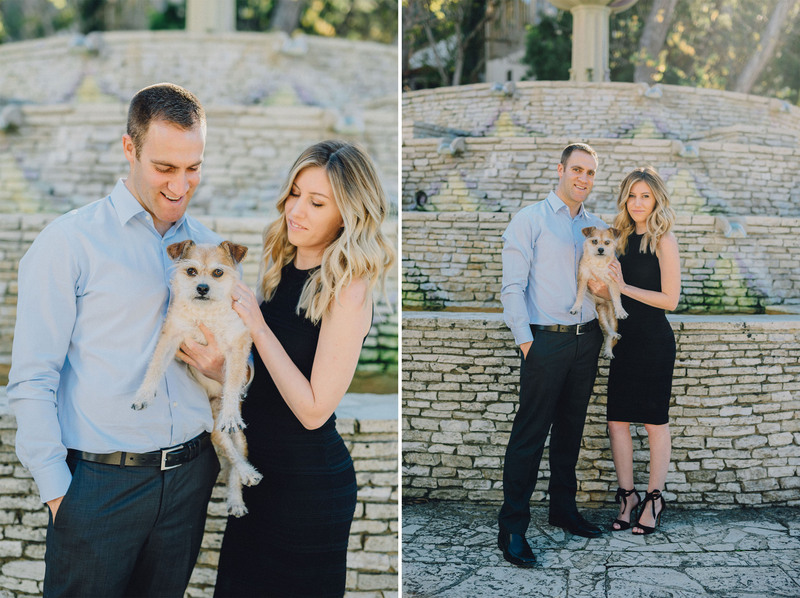 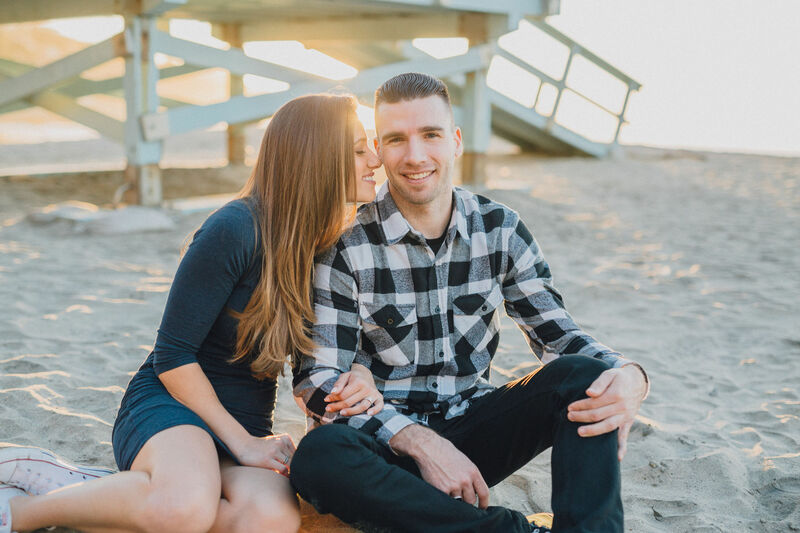 What a beautiful day it was for Breanna & Theo’s engagement shoot in Palos Verdes, California. 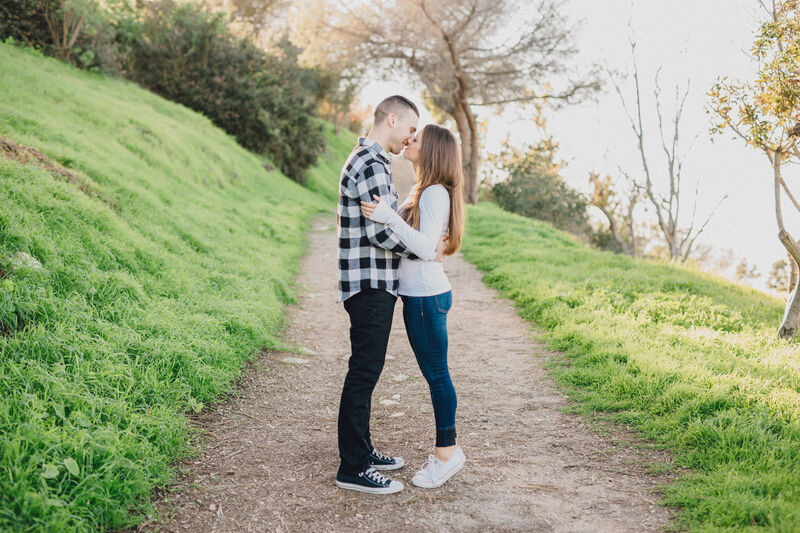 The scenery couldn’t be anymore perfect for us to capture their everlasting love. 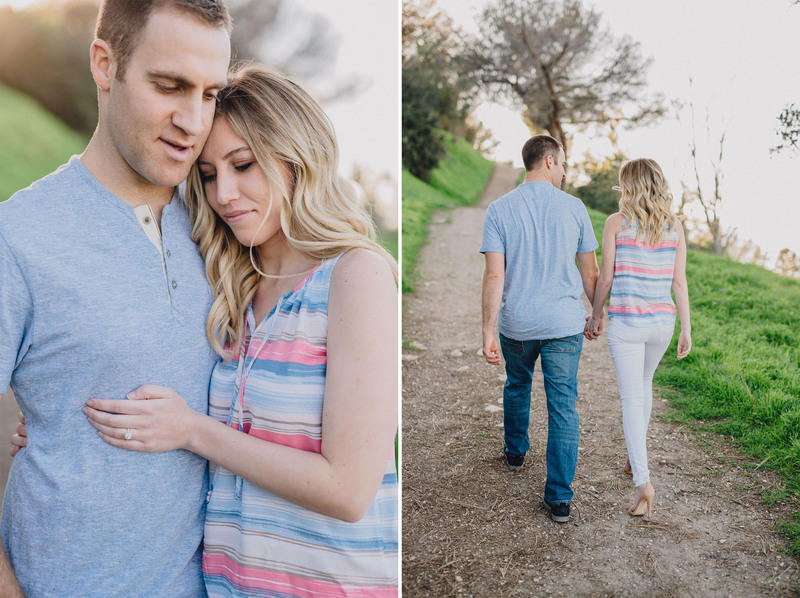 Starting at rustic stone pathways that lead us to dirt roads with beautiful greenery. 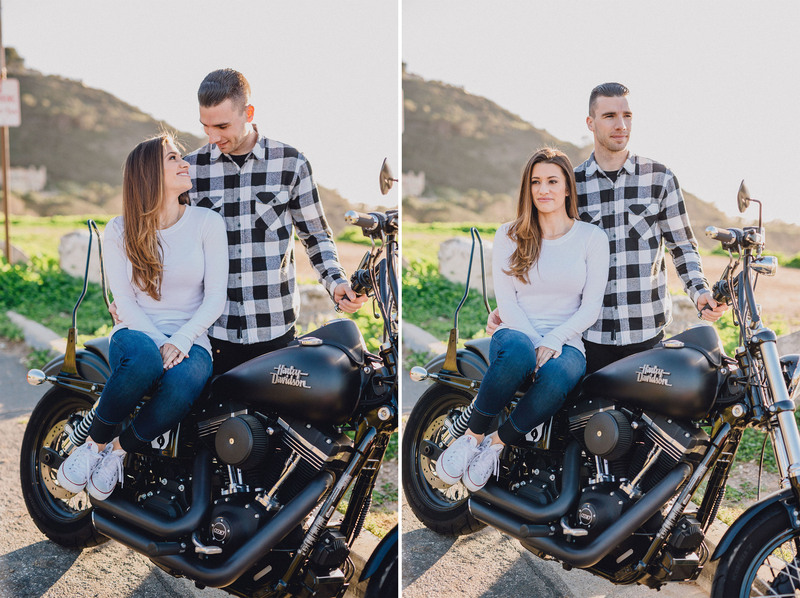 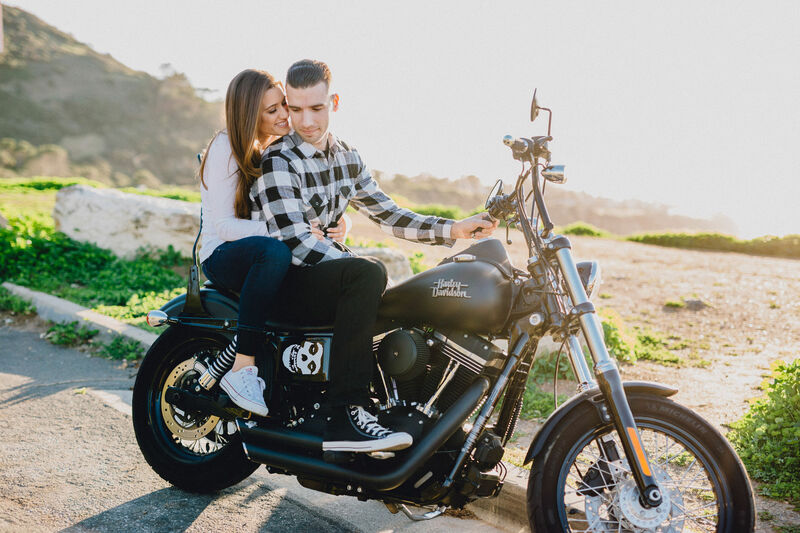 Off to the cliffside with ocean views, we were able to shoot some awesome shots with their classic Harley Davidson motorcycle. 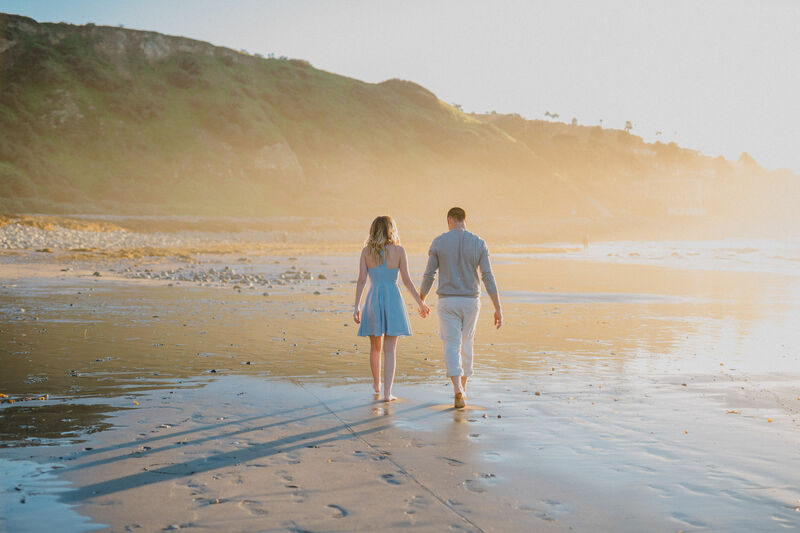 Not to mention, the romantic beach setting. 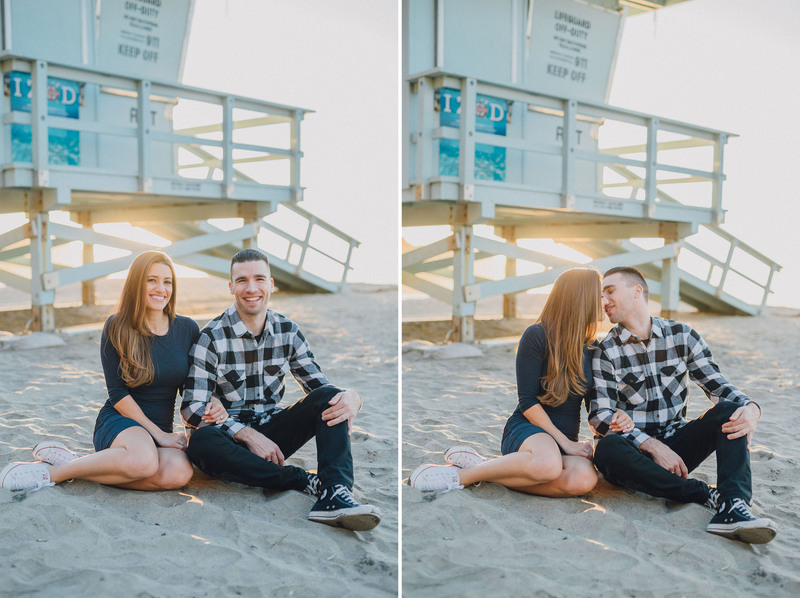 This couple had the beach to themselves giving us the opportunity to capture their love in the sweetest way. 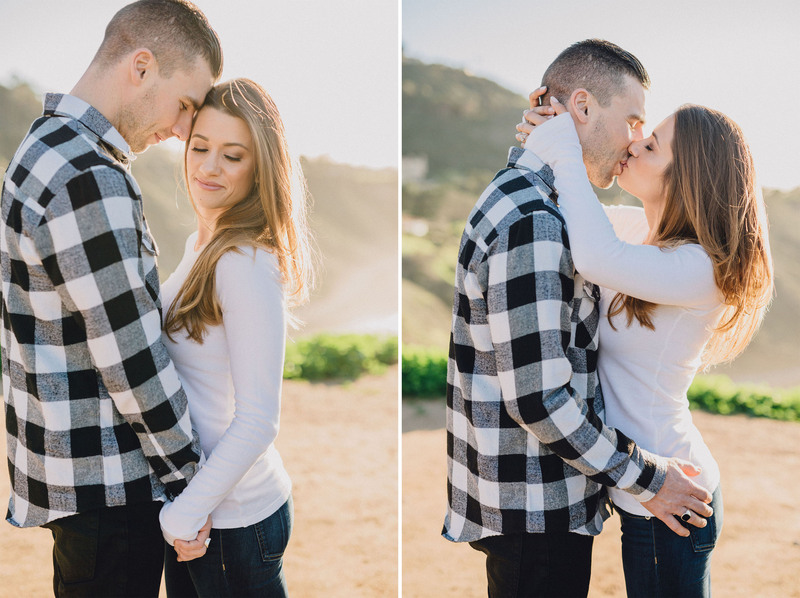 Walks along the water, sunset kisses and even the Palos Verdes lifeguard tower. 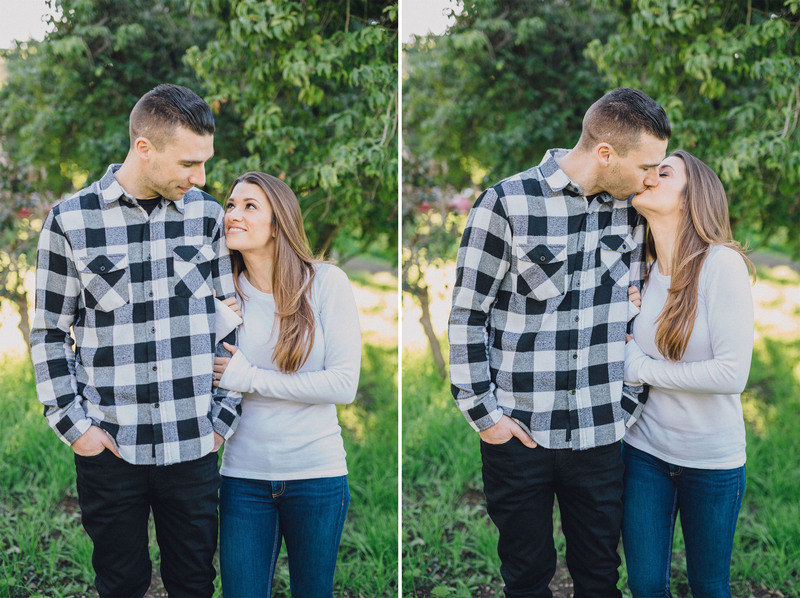 This is only just the beginning to their love story!